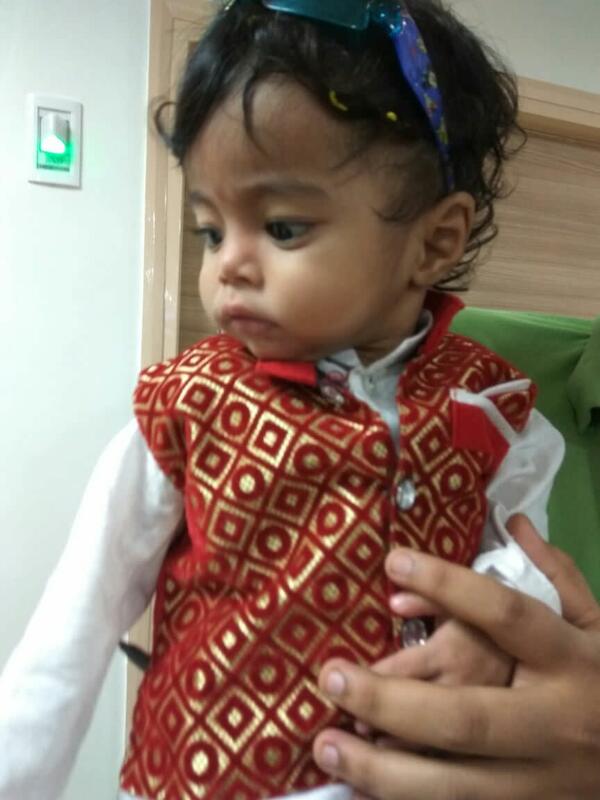 Leela Amaranadha is a 10-month-old baby boy with a damaged liver. 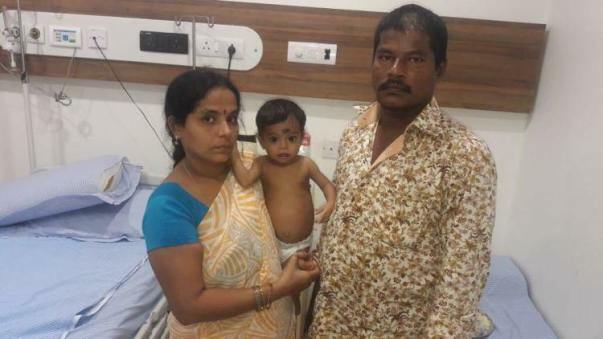 He needs an urgent liver transplant to survive. His parents have lost two children before Amaranadha and live in fear of losing him every day. Amaranadha's father Krishna collects and sells paper waste for a living in Kakinada, Andhra Pradesh. 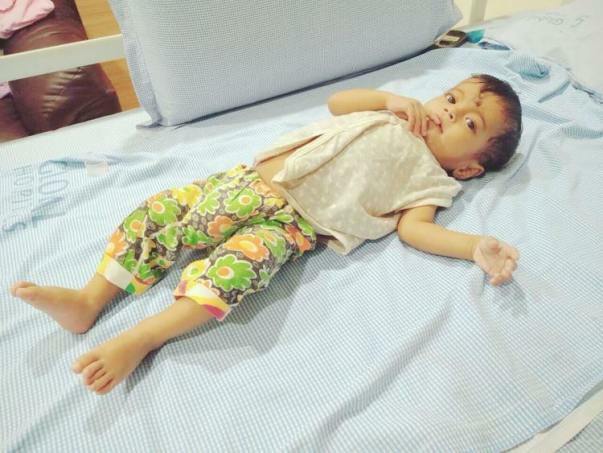 He needs financial help to save Amaranadha. “Amaranadha recognises people. He smiles at people and he laughs. His weight is the only thing that shows he is sick. 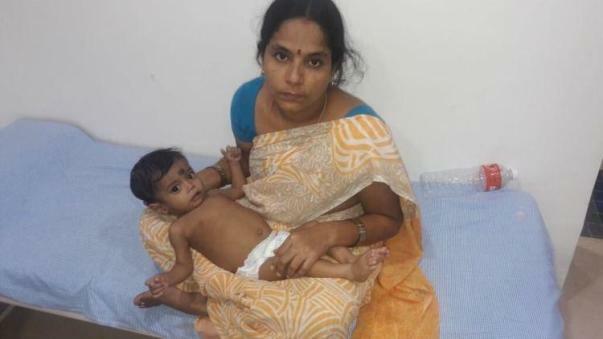 Despite his swollen stomach, he looks happy,” says Adilakshmi, subconsciously comparing Amaranadha to her son who passed away. The fear of losing Amaranadha is also always present in Adilakshmi's thoughts. She has already lost two babies. Her eldest - a 3-year-old died in 2013 and the another baby died just 5 days after birth in 2013. 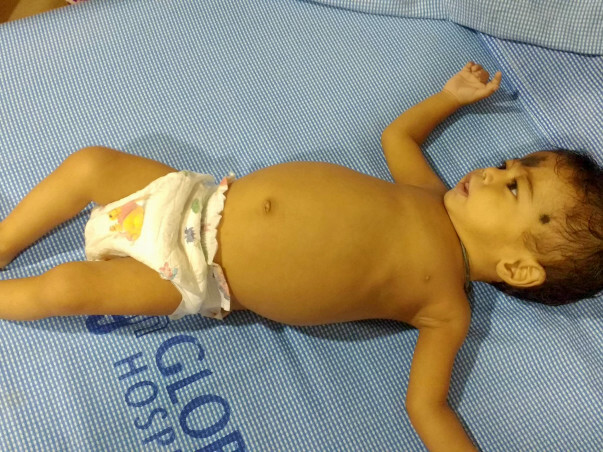 So far, Amaranadha has been the healthiest – though he is battling the same liver condition – biliary artesia. The parents blame their own ignorance for their children's suffering. Every doctor they meet tell them that it is because they married close relatives, that their children have liver problems. The thought increases the helplessness that the couple feels about not being able to save their children. When Krishna and Adilakshmi got married at – their families were very happy. The two are cousins and their families are all the more closer for the marriage. But to Krishna and Adilakshmi – it sounds like a sentence on the lives of their children. 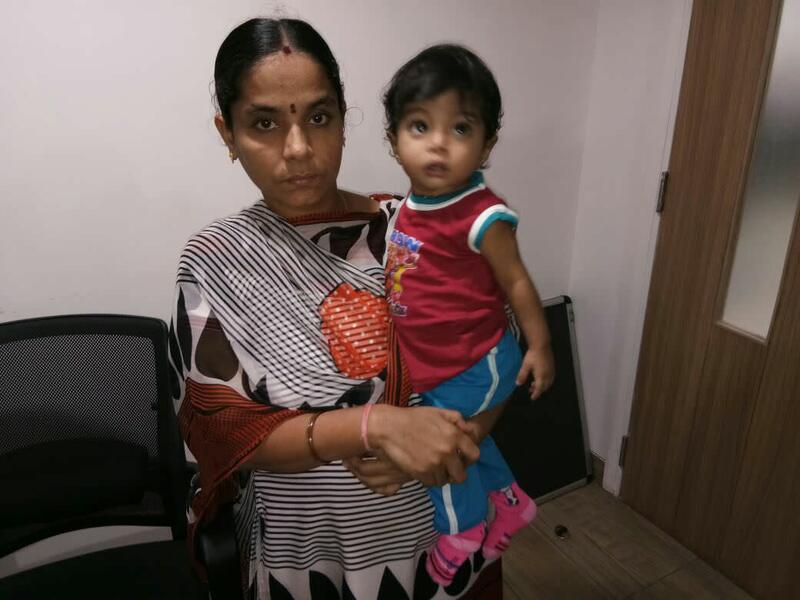 They have lost two infants to liver disease and the third one – Leela Amaranadha is fighting the same battle now. Everyday he goes out to work on his bike, Krishna earns Rs 150. He has no assets and all his family-members are daily-wage workers. He has used what little savings he had on medical bills – spending over 2 lakhs in the last 7 years. There is no one he can turn to in his time of need to save his son. Let his poverty not be the reason Adilakshmi loses her third baby too. Contribute to Amaranadha's treatment now. Thank you for all the support. Please find the pictures of Master Leela Amarnath, after the liver transplant procedure. 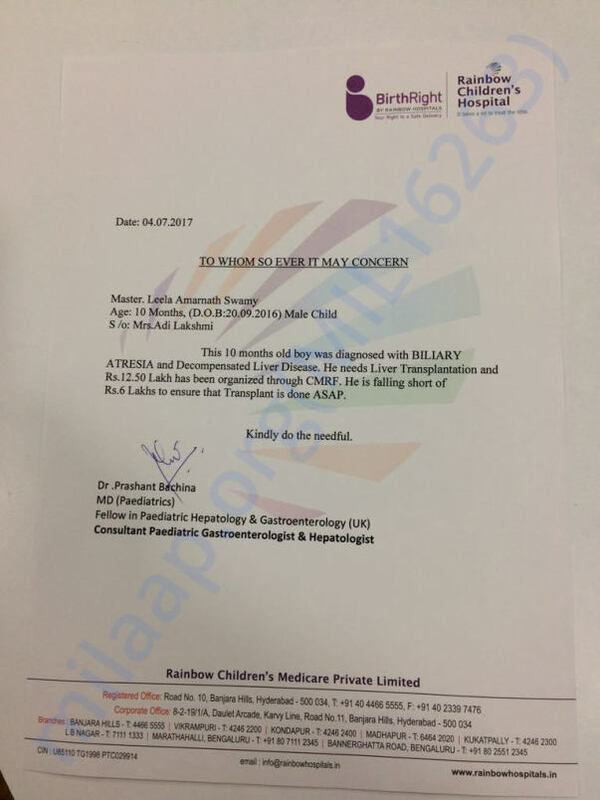 Leela successfully underwent the transplant on the 27th of July. 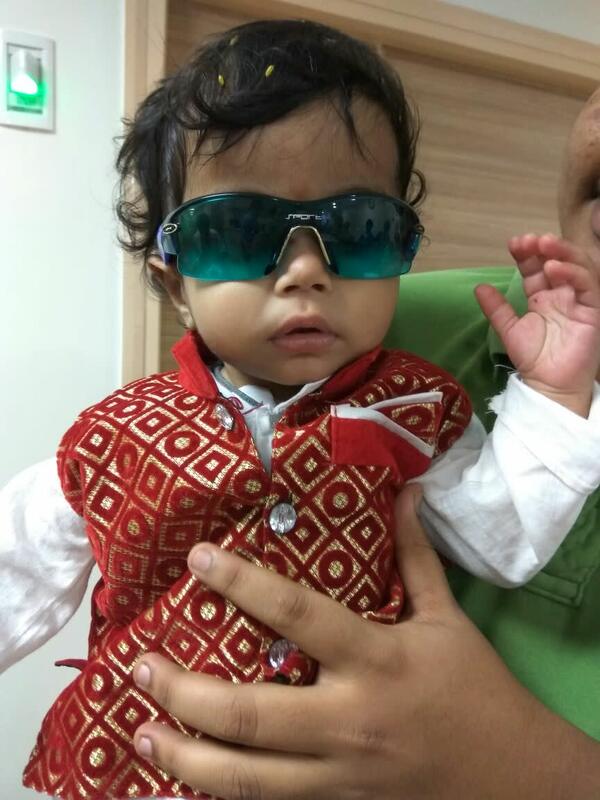 We met him at the hospital last week. The little one is doing very well and active. 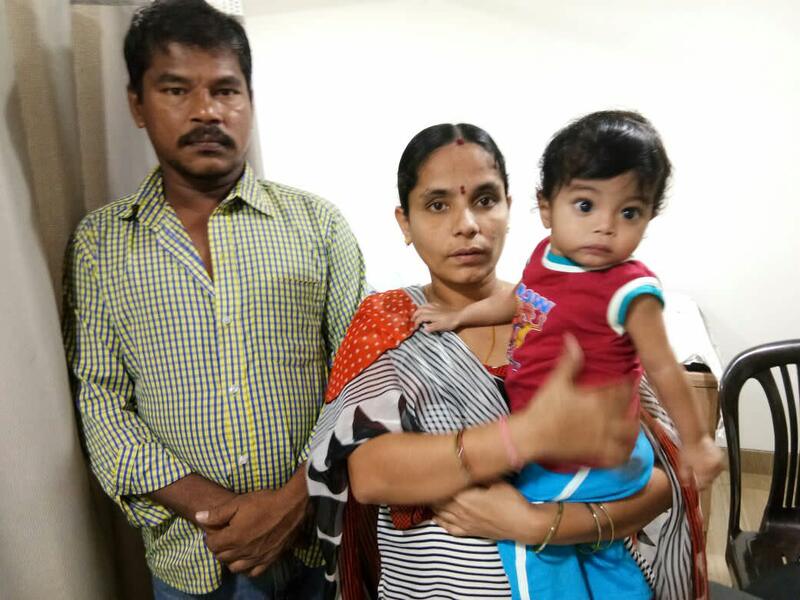 The hospital has asked the family to stay in Hyderabad until the required follow-ups are over, hence they have rented a small room near the hospital. As Krishna (Leela's father) is out of a job now he is finding it difficult to pay for the room rent but is making it somehow by borrowing money. He opens his hospital file and shows a picture of his first son who had been diagnosed of the same disease as Leela's. Unfortunately the first kid passed away. He thanks donors from the bottom of his heart for saving his third child. Here is a recent picture of Leela with his parents. Thank you once again for making this happen for this family. Pls ring before 1hr for coming to pickup the cheque or cash.